A one half scale Manx Norton motor. 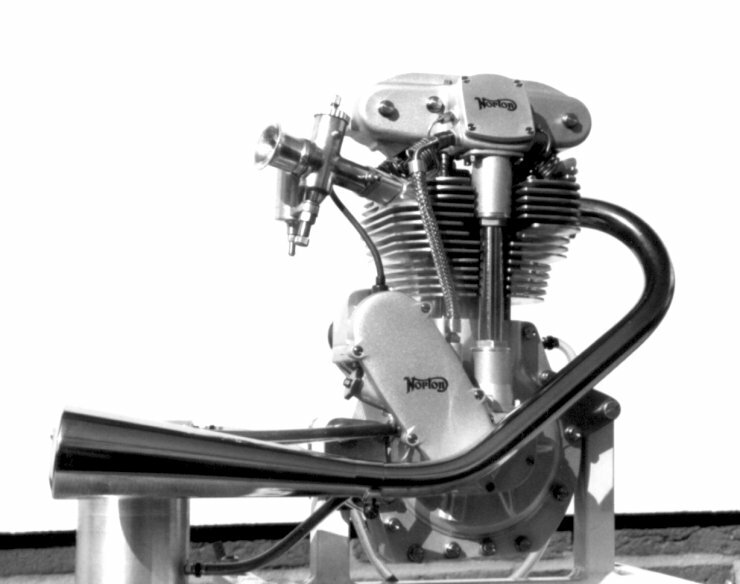 This is a replica of the engine that dominated Grand Prix motorcycle racing from the 1930's into the 1960's. The motor was made by a German enthusiast, and is among the best work seen at the 1998 show. This b/w photo was given to a freind of mine by the builder of the motor.